Designing a great website is not only about winning the prize for the most colorful website. A website should be able to attract more and more traffic and generate new leads and conversions. It is more about what the people experience when they visit your website and get done what you’ve placed for them to carry out. 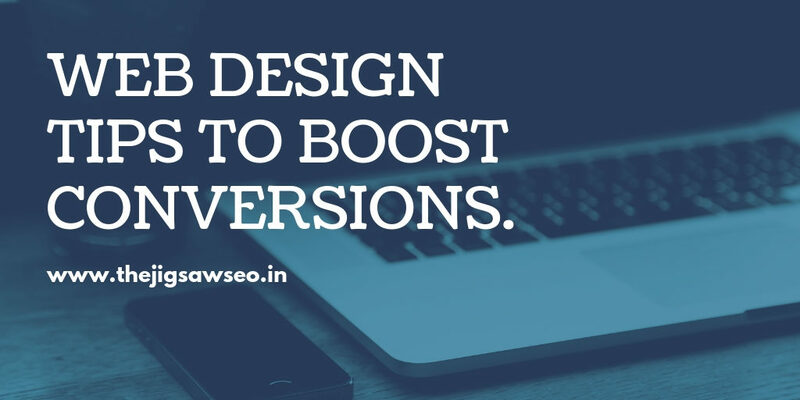 If you have a website and need help to generate more conversions, we will be giving you a few tips which will help you in your quest to improve conversions. Note! Design your layout in such a way that it supports your content. You want the people viewing you main message and supporting attributes like blog posts, testimonials, videos and all things that has been achieved by your company, in a smooth flow and straight to your conversion points. The objective of making a website should be completing your business goals which are generation of leads and sales and not to show your company’s greatness. While designing the layout. Make sure there’s enough gaps for the persons eye to follow a path to the next headline and its sub point. Also adding more imagery without any text will hurt your goals as there won’t be any flow from one message to other, making everything cluttered. If your logo contains strong colors, try pulling them out and using those colors as highlights instead of using them as the base of your site. Simple thing, just because you have a logo in black and red, it really doesn’t mean that even your website should be the same. Try to use light backgrounds as lighter colors will make it less challenging to read content more than the headline. Make sure you’re consistent with your color usage. Try to use a single color for all the call to action commands as it will help call out the people. Always remember, having overwhelming colors will always overwhelm the visitors. Place the call to action in a place visible in the path of the visitor. Always keep the primary call to action larger in size compared to the softer conversion points like a sign up Newsletter buttons or any other action. There’s no need to follow other people’s design whether they go out of hand at times. Be consistent to whatever you do on your website. Be careful of your demographic and what it is used for in regards to usability and style. Also, make sure your CTA is prominent and stands out. Always do a trial and error and see what works best for your website. If you keep the size of all your text messages the same size, the visitor will find nothing to be of importance on the page and will eventually get lost. Use different font sizes for a better look. By using a hierarchy, you’ll achieve a visual flow that will divide important points or headlines from the rest of the content. Stock images are like drinking water. They are found almost on everywhere. Well, avoid common stock images. It is totally alright to use stock images, but only if used properly or else they’ll give a very dull and will look uninviting. Adding pictures are good for your website and also make bring out sense for your business. Of course you want the consumers to see themselves in your company. So here we have it. These were few web design tips that will boost your conversions. By implementing these tips, you customers will be able to find the information easily and also carry out proper decisions regarding your brand and the what services you provide and boost your conversions. If you enjoyed reading this post, do share this post.